Nice to meet You, GO! Above the fast compilation time, another main characteristic of Go is that it combines the efficacy, speed and safety of a strongly and statically compiled language with the ease of programming of a dynamic language. Above these, Go is designed for fast parallelization, thread concurrency which are the basic desirables for network programming, Go definitely being designed for highly scalable and lightning fast web servers.This is certainly the great stronghold of Go, given the growing importance of multicore and multiprocessor computers, and the lack of support for that in existing programming languages. Because it is a statically typed language it's a safe language, giving 100% percent trust for the programmer for incidental and not desired errors to not happen, assigning different types of values to the same variable (redeclaring) being impossible without an error notification. Go is strongly typed: implicit type conversions (also called castings or coercions) are not allowed; the principle is: keep things explicit! Having these basic ingredients at our disposal, combined with a powerful editor like IntelliJ IDEA extended with a very versatile Golang Idea Plugin specially developed to support all the syntactical sugar, auto completion, refactoring etc. desired for every IDE, programming in Go is pure fun. I can fully recommend this strong partnership. I've tried Sublime Text 2 editor with GoSublime plugin, but even if i'm a huge fan of Sublime i think the first option is a better choice. There is a dedicated page at the project site for the current existing editors supporting the language including Eclipse, but considering that till now i was very satisfied with InteliJ editors i sticked with IntelliJ IDEA. ...otherwise if you install with MSI installer, the IDE won't be able to locate and setup the SDK. 2.) 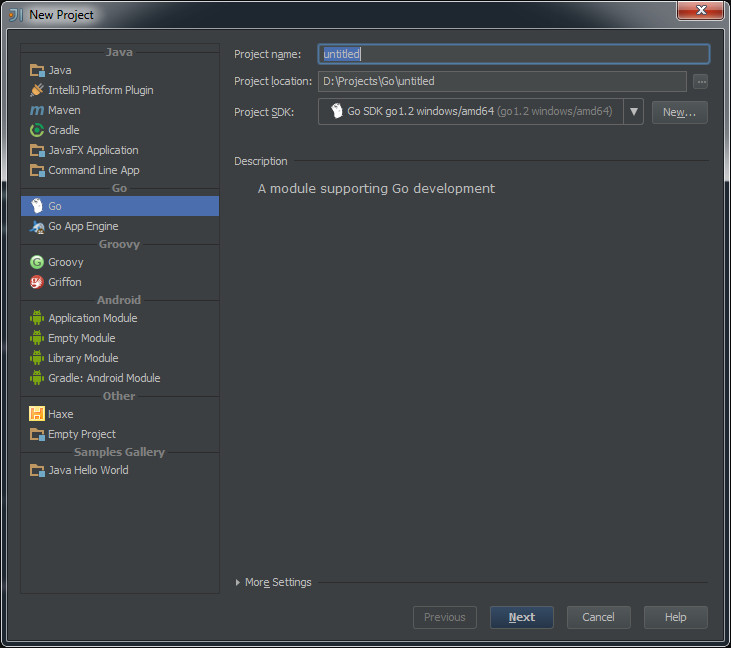 Another special attention which you have to pay is to set up the Go environment variables correctly. 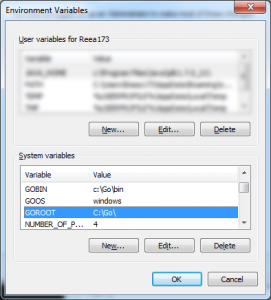 This means either you specify the GOROOT, GOOS, GOBIN variables per project or you set up permanently by including into the Windows default environment variables either by using the SET command line or simply by editing the existing environment variables on Control Panel -> System and Security -> System -> Advanced System Settings -> Advanced. However on each project you need to setup the GOPATH variable (which need to be associated to the root of the project folder!!) by running the SET GOPATH="root\to\the\project\folder" command. This is necessary if you wish to run the build or install go commands in order to create executable files or to build the source packages. After setting up the necessary prerequisites I've started to play with different type of function invocations Go can handle, one of the most referred in every torture test being the recursive function. I came up with three different methods to calculate the factorial of the first 40 numbers and measured the execution time for each one separately. As you can see from examples below the calculation/execution times are really impressive. The first method is the traditional one. It's execution time is the worst between the three. The second method is a demonstration how Go can handle closure functions and how can solve the same problem more elegantly. The last one is the best one using the memoization technique. What i really liked is how elegantly Go handle the closure function, being possible to define even a function as a return statement. So below are the methods, you can test it yourself by following the steps defined above. This is the first post from - hopefully - a series of Go related entries, so along the way tinkering with the language, i'm aiming to publish more views and thoughts. 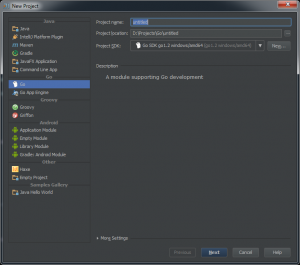 In the current phase i wanted only to share my first impression and steps necessary to install Go with a IntelliJ IDEA on Windows environment.